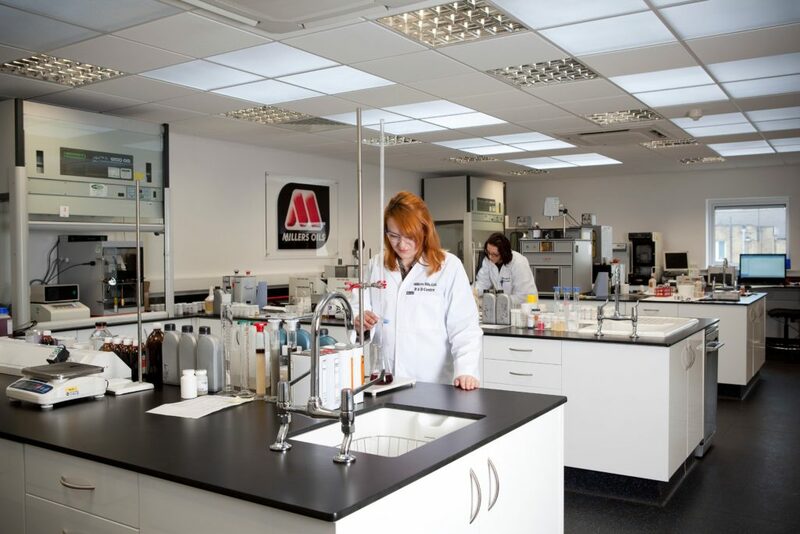 Millers Oils is known globally for their long history of innovation. Millers oils were pioneers and still, today are the sole developers of “NANODRIVE” ultra-low friction technology which is currently redefining performance standers for oil in motorsport and energy efficient street oil alike. The XF line of oil is Millers high-quality formula of fully synthetic engine oil. XF provides improved fuel economy and reduced engine wear when compared to other oils. 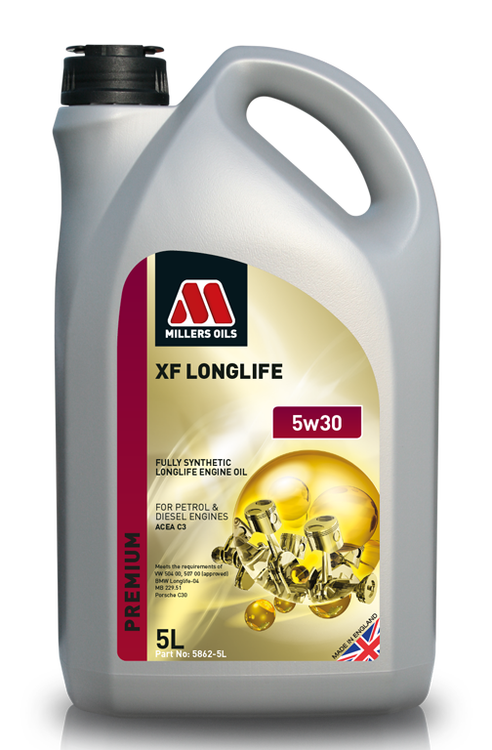 Millers XF maintains its proper viscosity under the most severe conditions and is compatible with all catalysts and diesel particulate filters. XF is recommended for street driven vehicles with extended or variable service intervals. Millers EE energy efficient oils are the top of the line street vehicle oil Containing Miller’s nano-drive technology to allow for the maximum fuel economy and minimal engine wear. Like the XF line EE is fully synthetic and compatible with all catalysts and diesel particulate filters. The EE line also offers EE eco with a focus on improving your vehicles fuel economy and EE long life for a longer duration between oil changes. The EE line is recommended for street driven vehicles, modified or “tuner” cars, and vehicles that are taken to the occasional track day. Engineered for vintage cars with a strainer or basic filtration system, Millerol monograde engine oils and mineral based products. these non-detergent grades provide anti scuff capability and resistance to oil oxidation and bearing corrosion. Vintage millerol monograde is formulated with ZDDP and provides exceptional levels of protection and performance. Engineered for classic cars, the pistoneeze monograde engine oils are mineral based. these moderate detergent products effortlessly provide the level of wear and anti-oxidant properties required in classic cars and are also suitable for vintage cars incorporating a modern filtration system. A moderate detergent premium SAE 20w50 multigrade engine oil that has been specifically engineered for classic cars. classic pistioneeze 20w50 is also suitable for vintage cars incorporating a modern filtration system and can be used in both petrol and diesel vehicles. formulated with ZDDP can also be used where SAE 20, 30, and 40 grades are recommended. Classic sport with enhanced performance additives and shear stable viscosity index improvers, classic sport is a high performance semy synthetic multigrade engine oil. the incorporation of high levels of synthetic based fluids provide dramatically increased protection under arduous conditions of load and temperature. formulated with ZDDP for ultimate protection. Irrefutably the highest performing classic engine oil ever developed. Classic Sport High Performance 20w50 fully synthetic multigrade engine oil had been uniquely engineered for classic performance racing and incorporates Millers Oils unique Nanodrive ultra-low friction technology which provides a 63% reduction in friction and a 38% reduction in wear compared to synthetic based 20w50 grades. The miller’s flagship NANODRIVE NT+ line completely redefines the performance criteria usually associated with a motorsport oil. Millers Oils deep-rooted knowledge of developing bespoke blends to deliver ever-improving levels of friction reduction within an engine has manifested itself in a range of products that seamlessly provide an immediate and discernable increase in power and torque as well as a notable increase in efficiency in performance engines. CFS NANODRIVE NT+ ultra-low friction package reduces engine friction by a further 15% than our previous oils and set this range apart from all others in this arena. CFS NT+ is recommended for modern competition engines that demand the most out of their oil. For More information about Millers Oils products please click here. For More information about Millers Oils Motorsport click here.